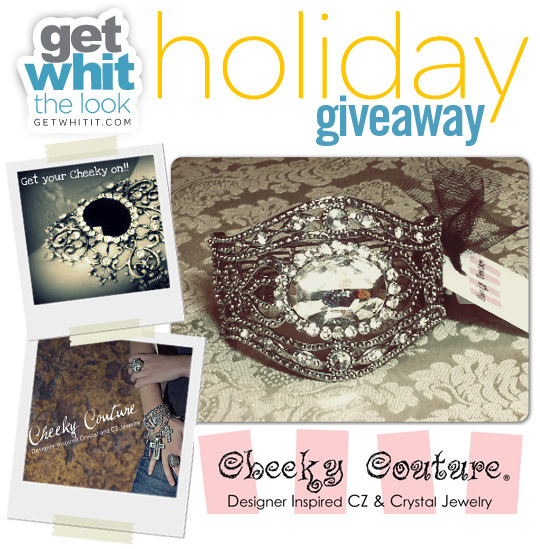 Today we have for you a giveaway sponsored by Cheeky Couture, designer inspired CZ & crystal jewelry. Cheeky Couture is a high-fashion jewelry distributor offering a unique collection of bold and classic jewelry styles. Their jewelry is available in finer boutiques and award-winning salons and spas throughout the Indianapolis area and a few locations in other states across the country. 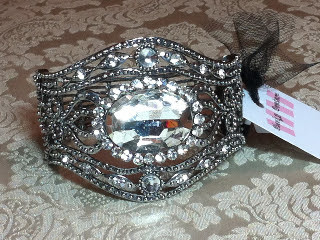 They are giving one lucky Get WHIT It reader this bracelet, featuring antiqued silver filigree metal with clear crystals and a hinged closure. The bracelet would be a great statement piece to dress up an evening look. Simply make sure you are signed up for the newsletter and for extra entries, like the Cheeky Couture and Get WHIT It facebook pages or follow both on twitter. We will choose 1 winner randomly tomorrow!